It’s always good to be so busy having a great summer vacation that you lose track of the bigger world. 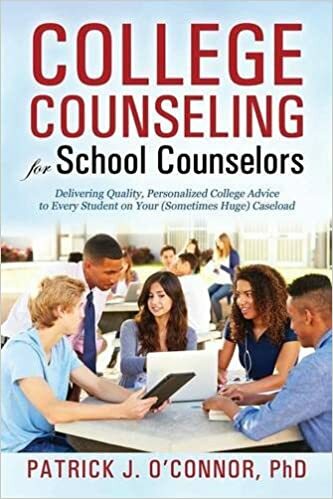 Relaxing is important, and helps school counselors maintain perspective. Veterans and Families Pay In-State Tuition One of the biggest changes to the GI Bill happened this summer, as President Obama signed a bill allowing veterans to pay in-state tuition at any public college in the country. Individual colleges and states had these policies in place, but this new law opens up more affordable educations to veterans from coast to coast. Of special interest to school counselors is the bill’s provision that extends in-state tuition to the spouses and children of veterans as well. Since the law goes in to effect in the Fall of 2015, counselors will want to announce this change to all of their students, but especially budget-conscious seniors, who can now think again about public institutions that may have been out of reach just a month ago. Big Sports Colleges Gain Strength Another change less than a month old is the NCAA’s loosening of some economic limitations on large college athletic programs. Starting next fall, colleges in what’s known as the Big 5 athletic conferences (ACC, Big Ten, Big 12, Pac 12, and SEC) can offer more health insurance, scholarship, and cost-of-attendance aid to athletes. This change will clearly make successful programs even more successful, making it that much harder for colleges with smaller programs to land top athletes. Then again, it was always a tough sell getting a student to come to a college with hundreds of fans, versus one with thousands. Top players in the Class of 2015 will likely pay even less than before for college, making competition more keen among the biggest programs. At the same time, more athletes may be interested in these bigger benefits whose skill levels might not make them top-notch recruits. This makes it more important than ever to make sure all athletes have college options that don’t rely on an offer that might change with a coach’s new job offer or an off-season injury. College Athletics, Part II Another August NCAA ruling isn’t likely to impact next year’s athletes, but it’s worth paying attention to for 9th and 10th graders. A federal court has ruled that the NCAA’s policy forbidding athletes to share in the profits of their college’s athletic program violates anti-trust law. This policy has long kept athletes from asking for part of the revenues colleges get from TV contracts and Bowl appearances. This summer’s ruling is the first step toward allowing that to happen. The final word on this ruling will likely come from the US Supreme Court in a couple of years, but the implications are important as school counselors advise their youngest athletes. While current policies often create financial gaps for athletes to fill, a change in profit-sharing policies could leave find some athletes attending college while making a hefty profit. Combined with an earlier decision allowing college athletes to unionize, the field of college athletics is likely to see many changes in the near future, making it more challenging to encourage high school student athletes to hit the books as hard as they hit the gym.